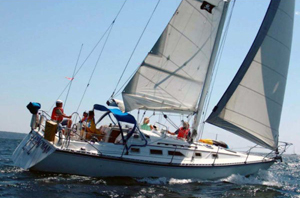 With its 12 foot beam you will find the Hunter 34.5 a spacious well-appointed sailing yacht. 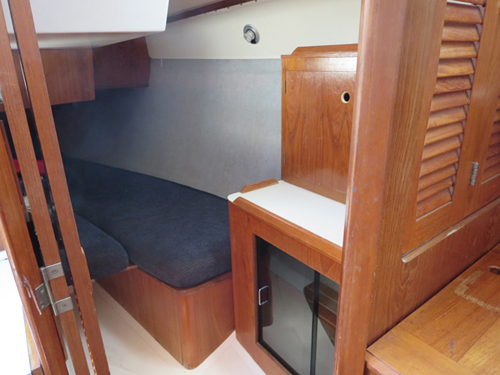 Above and below deck the added size makes it ideal for those looking for added comfort. 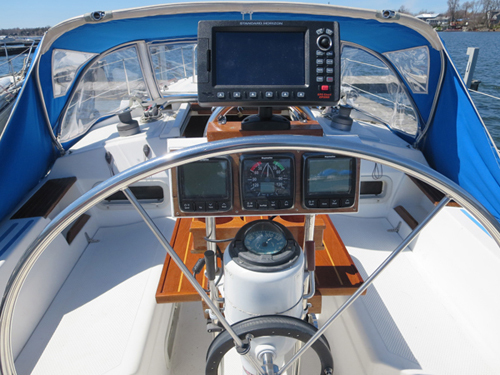 With a large deck area for the crew to work, it makes sailing adjustments a breeze. 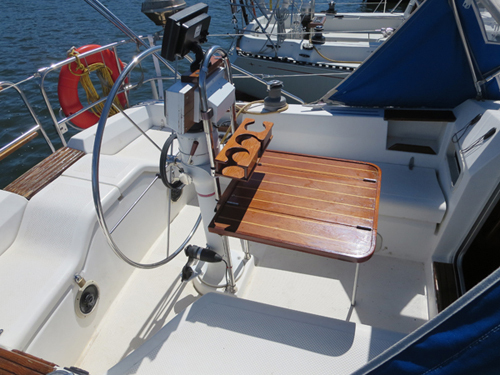 All lines run aft with a furling genoa. 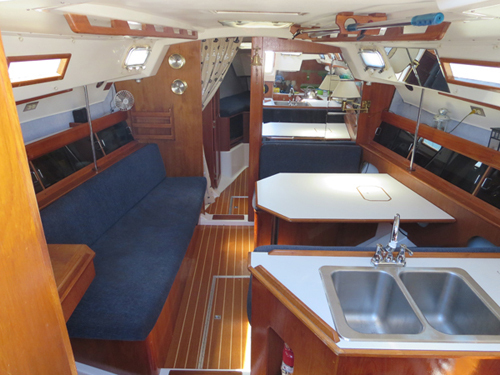 The cockpit, has a folding teak table for morning coffee or afternoon refreshments and will accommodate a large grouping. 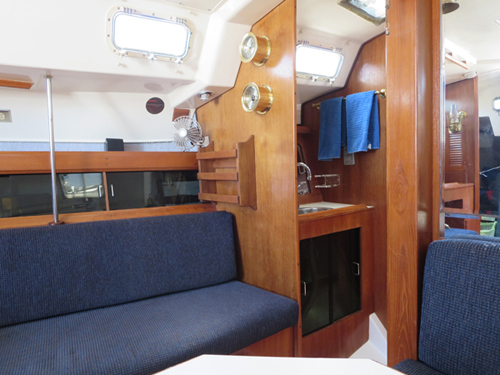 Below deck the beautifully appointed teak galley and staterooms have all the comforts of home. This Hunter has a refrigerated ice box and hot and cold pressure water, including a shower. 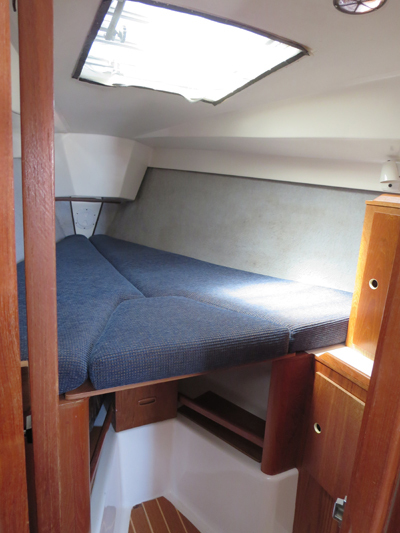 The forward V berth, aft cabin and the pop down galley table are all double beds with a single on the portside. 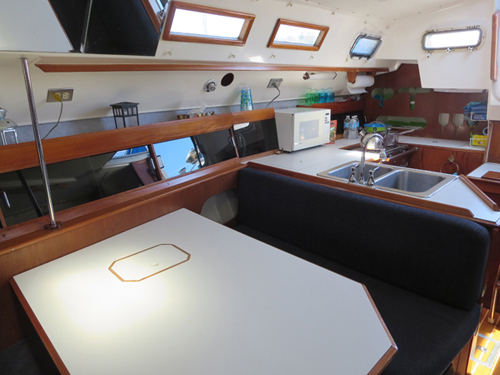 This sailboat is perfect for 2 couples, each with their own stateroom, a larger group or a family with children and can sleep up to 7 people.